Miss thumb shifters? Converting a drop bar bike to flat bars? 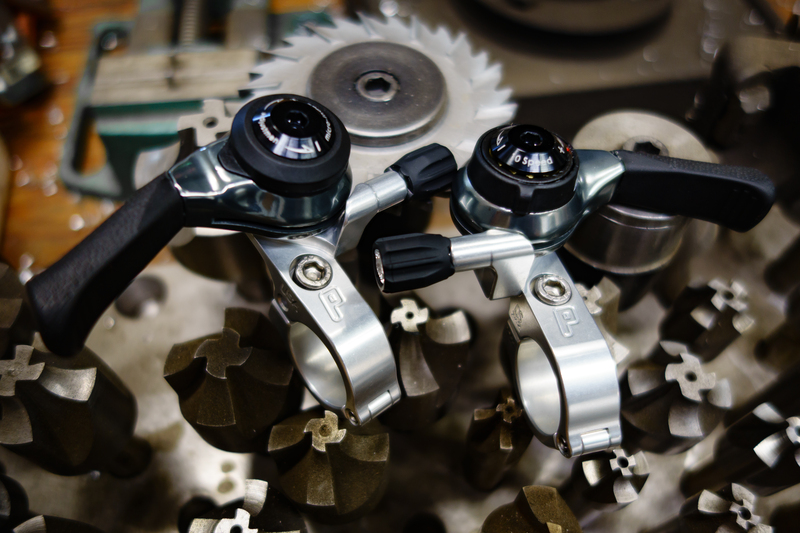 Want to run a Shimano MTB drivetrain on your drop-bar bike, with shifting accessible right from the flats? 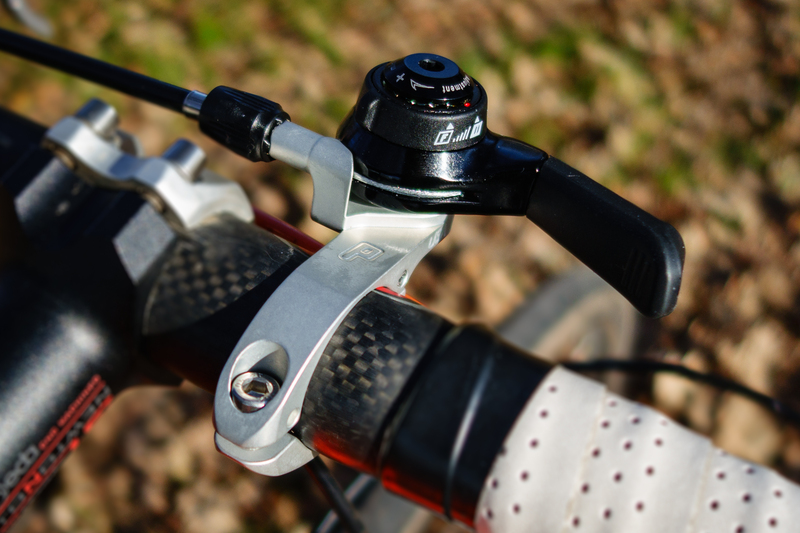 These easily transform bar-end (aka “barcon” or “TT”) shifters into thumb-shifters. 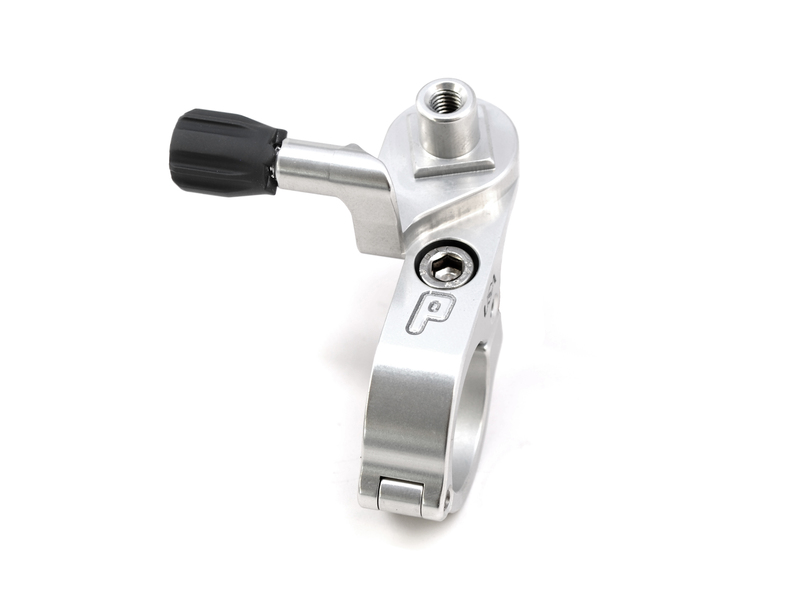 The shifters are not included, but are readily available in 8 through 12-speed versions, and many have an option for friction-shifting. These mounts are also compatible with the Microshift Alfine/Nexus 8-speed shifter (part #BS-N08). Be sure you are using the MTB Microshift (or Gevenalle) model, as the Road version is smaller and will not fit. 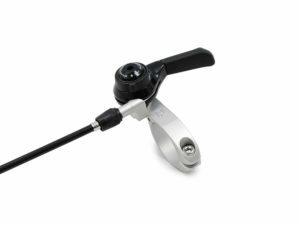 22.2mm is equivalent to 7/8 inches, and is the diameter of most mountain bike handlebars. Many flat bars, risers and city bars have this diameter. It is measured at the end of the bar where grips and brake levers attach. 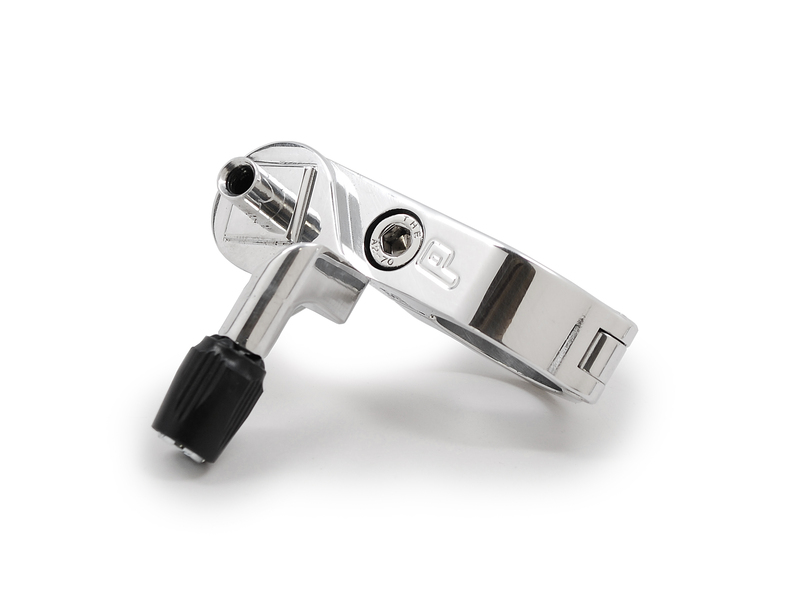 31.8mm is most commonly used on modern road handlebars near where the stem clamps. MICROSHIFT MTB or GEVENALLE MTB work great, but the Road version is too small and will not fit. 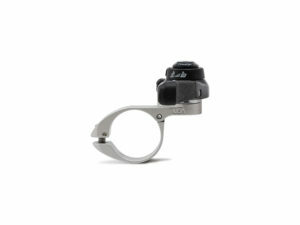 Thumbies have a hinged clamp for an easy installation and fit handlebars with a diameter of 22.2mm or 31.8mm. 22.2mm is equivalent to 7/8 inches, and is the diameter of most mountain bike handlebars. Many flat bars, risers and city bars have this diameter. It is measured at the end of the bar where grips and brake levers attach. 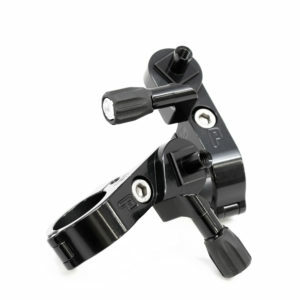 31.8mm is most commonly used on modern road handlebars near where the stem clamps. The clamp is raised up to give clearance for hydraulic brake levers. 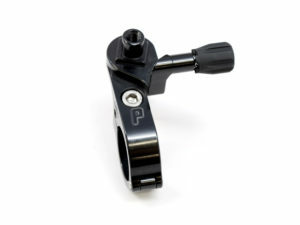 They have a shifter mounting boss that fits MICROSHIFT and Gevenalle mountain shifters.